Ranger is one of the most exciting rides with an extraordinary movement. Due to its height in operation it can be seen from far away. 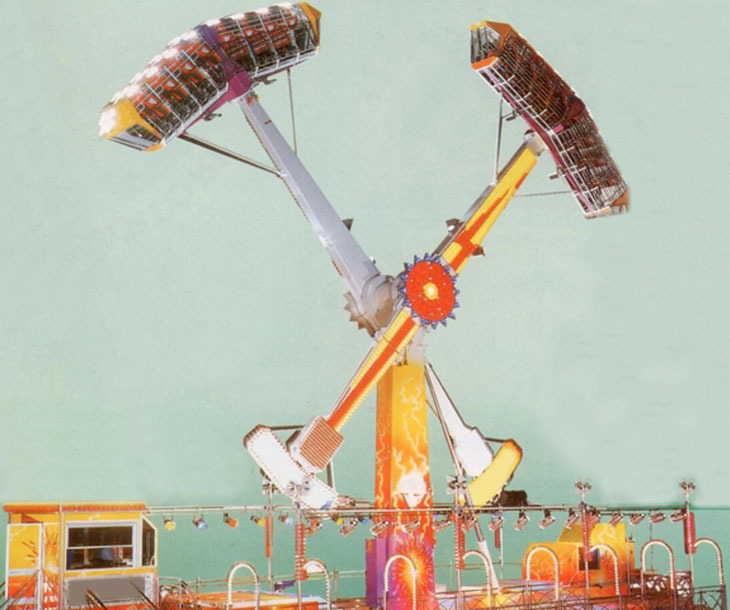 This rides consists of 1 central column on which 2 arms are attached. Each arm is supporting 1 gondola. Height is 15 meters. Area required 13 x 6Mtr.